The Hawthorn Spartans will open their season on Saturday when they take on Old Geelong away at Como Park starting at 11:40 am. 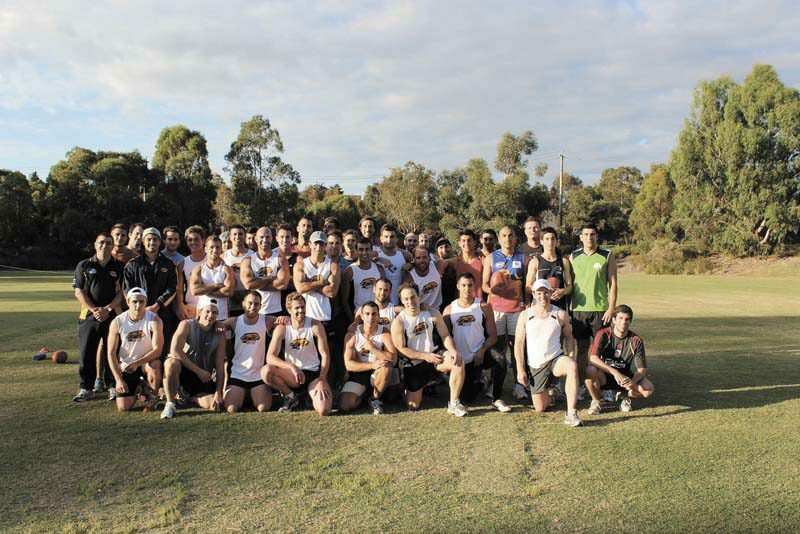 At the Mentone Grammar sports grounds last Saturday the Saprtans playing their final pre-season game, ran out comfortable winners against the Old Mentonian 3rds. Following up on Wednesday evening, the club presented the players their 2012 season guernsey’s in what was described as a family atmosphere with new major sponsor in attendance, M2K Communications. The Hawthorn Spartans’ Annual Ball on May 12 at Stars International in Preston, is for a good cause in aid of the charity, Sports Without Borders. The event will be attended by all of the Spartans’ palyers, coaching staff, their families and friends as well as sponsors including M2K Communications, Bank of Cyprus Australia, Neos Kosmos, Southern Ocean Seafoods, Stalactites, Oasis Coffee and Crown Posture Bedding.